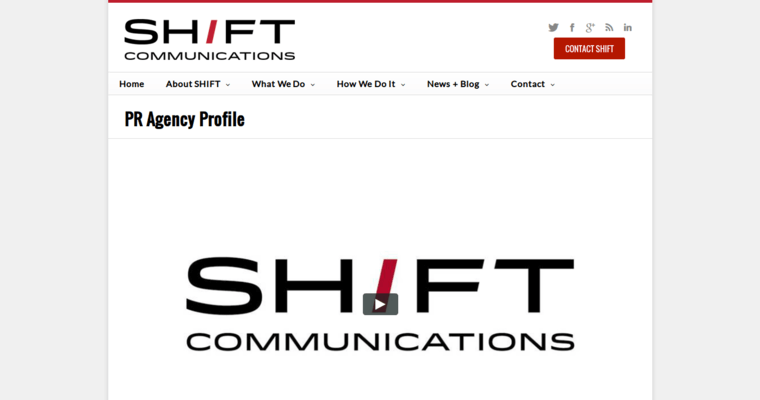 Shift Communications is a data driven public relations company. 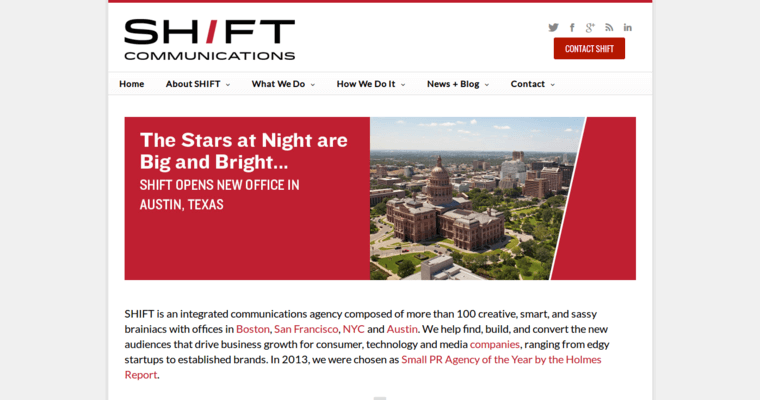 Shift has multiple offices across the nation, from San Francisco to New York to Boston to Austin, Texas and focuses on getting clients the impact with audiences that they need in order to run a successful business. Media coverage is the name of the game here because having a good presence in the media can mean the difference between success and failure. The company is made up of bloggers, analysts, campaign managers and the like who have the experience needed to accomplish these goals and can make a client marketable. This includes methods of being completely creative like holding interviews or building websites with a brand's name so that people will be able to access them easier. 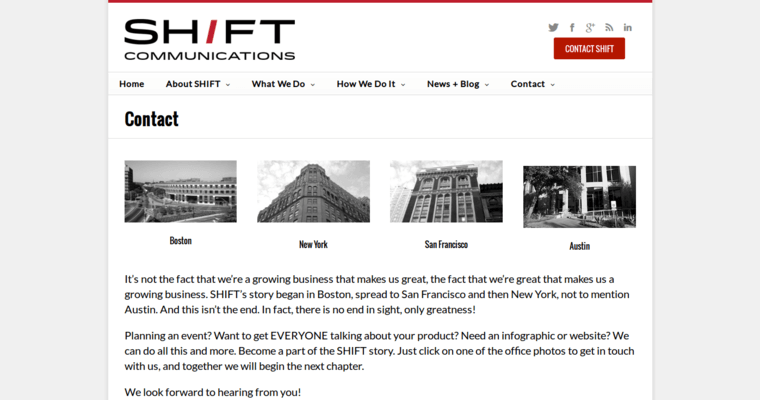 Shift Communications has worked with many big name clients in the past such as McDonalds, McKesson, Toyota, Bing, Credit Karma, HubSpot and H&R Block.